Jess works with us here at LeMetric. And although she has great, long, straight, shiny hair most people would die for, she still cannot attain the volume she really wants. So we added a very special hair piece we hand craft here at our NYC headquarters: LeClip. She tried it on and in less than 2 minutes, she achieved the style and volume she always wanted! Please explain Le Clip in more detail and who it works best for; ie: someone with receding temple hair loss? 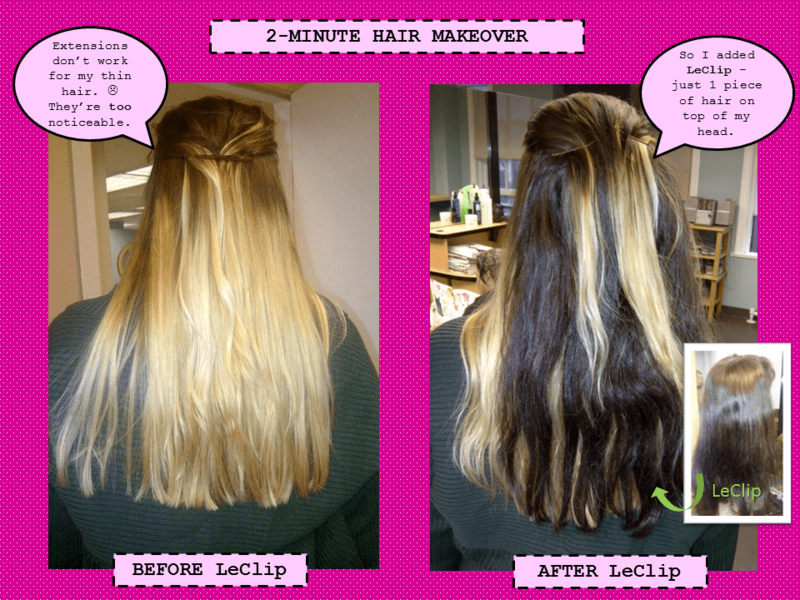 LeClip are hair extension clips and unfortunately they don’t work so well or cover hair loss areas around the temples. We would recommend a hair piece. If you’d like a consult with our hair loss specialist please call 212-986-5620. Fine Thinning Hair Styles? | Solution! Thanks! Do you have any tips for women?